It is our goal at Pearson Honda to provide a reliable, honest and affordable experience. We pride ourselves on being attentive and fulfilling the needs of our loyal customers as we serve Midlothian, Tarrington, Richmond and beyond. Our highest priority is to ensure that our shoppers feel like an integral part of our Pearson Honda Family from the moment you walk through our doors. An accomplished team of experts awaits to assist and educate you. Shop our inventory in the way that best suits your lifestyle. Visit our showroom conveniently located at 14001 Hull Street Road in Midlothian, VA. Looking for a quick overview? Browse our available inventory, coupons and specials online at your convenience. Knowing your vehicle is held to the Pearson Honda standard will give you confidence as you cruise around Virginia. Our Honda Certification Standards showcases our commitment to upholding quality, innovation and durability no matter your vehicle choice. Our impeccable Honda Service and Parts Center places a great importance on the maintenance of your vehicle. 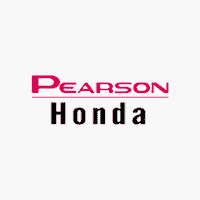 Pearson Honda delivers the latest and greatest new SUVs, trucks, cars, and minivans. Pre-owned options are held to the same high standard and will give you the utmost confidence behind the wheel as our latest Honda models. Be sure to check out our Certified Pre-Owned and under $10,000 options to find the right one for you at Pearson Honda in Midlothian, VA! Schedule a test drive and jump behind the wheel of a new Civic, Ridgeline or CR-V to feel the rush first-hand. The Pearson Honda team of financial professionals is here to help you explore all of your options. We can and will help you find the financial situation that best suits your needs. Whether you have fantastic credit or it could use some work, it is important to weigh all of the pros and cons. The Pearson Honda Promise is the dedication to always finding you the right financing and never obligating you to more than you can afford! Does the vehicle purchasing process have you thinking, “What’s mine worth?” Let our finance professionals tell you! Visit our appraisal page and don’t spend another minute wondering. We, at Pearson Honda, want to give you the most accurate number possible! The Pearson Honda team of financial professionals is here to help you explore all of your options. We can and will help you find the financial situation that best suits your needs. Whether you have fantastic credit or it could use some work, it is important to weigh all of the pros and cons. We are dedicated to always finding you the right financing and never obligating you to more than you can afford!